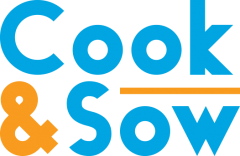 Cook & Sow specializes in helping good people to do good things better. We are a communication and marketing consultancy led by senior HR and project management professional Fanta Sow and senior communication, social marketing and training professional, Patrick Cook. For your project, agency, or organization, we can help you design and implement effective communication and marketing strategies that achieve results. From planning to implementation, we can make sure that you achieve your program or policy goals by meeting your communication objectives through superb product design and development. And we work with your entire team—from senior leaders and managers to staff and volunteers—to help them become better communicators and marketers. We have more than 25 years of experience leading strategic communications, behavior change, social marketing, and training and technical assistance campaigns, programs, and initiatives for agencies and foundations including British Columbia (BC) Ministry of Forests, BC Hydro, BC Center for Disease Control, US Centers for Disease Control and Prevention (CDC), CDC Foundation, Industry Canada, Insurance Corporation of BC, National Institutes of Health (NIH), NIH Foundation, Vancouver’s Simon Fraser University (SFU), Substance Abuse and Mental Health Services Administration (SAMHSA), US Agency for International Development (USAID), US Dept. of Education (ED), US Dept. of Justice (Justice), and the World Bank. Select and research priority audiences and audience segments to better understand and move them to behavior change. Examples include rural and frontier audiences, youth, middle-aged men, veterans, suicide attempt and suicide survivors, and medical and public health professionals. Examples include Georgia Crisis and Access Line (GCAL), and Maryland Commitments to Veterans (MCV), and SAMHSA’s National Suicide Prevention Lifeline, 1-800-273-TALK (Lifeline). Develop research-based integrated, multichannel communication and marketing strategies to achieve program goals and behavior change objectives. Examples include GCAL, the Lifeline, MCV, SAMHSA’s Safe Schools/Healthy Students (SS/HS), and SAMHSA’s Project LAUNCH. Develop and promote brand for new or existing program or service to help ensure program success and sustainability. Examples include CDC Community Health Improvement Navigator, CDC Youth Violence Prevention Training & Technical Assistance Initiative (YVP TTA), CDC’s Striving to Reduce Youth Violence Everywhere (STRYVE), GCAL, Lifeline, MCV, National Resource Center for Mental Health Promotion and Youth Violence Prevention, SS/HS, and Project LAUNCH. Plan and develop communication strategy to support the implementation of a new policy or practice within an organization, in a community, or across a country. Examples include CDC’s National Public Health Strategy for Youth Violence Prevention and the National Prevention Strategy, part of the Affordable Care Act. Create effective messages, content, and products, with a focus on achieving engagement with accessible and creative materials from brochures and flyers to infographics and web copy. Examples include CDC’s Communities Putting Prevention to Work, CDC’s Community Transformation Grants, Lifeline, GCAL, MCV, SS/HS, Project LAUNCH, SAMHSA’s Disaster Technical Assistance Center, STRYVE, CDC YVP TTA, CDC Office of the Associate Director of Policy, CDC Division of Community Health, and the US Surgeon General. Design and develop messages and materials that make complex research and technical information accessible to non-specialist audiences using plain language and clear communication strategies and techniques. Examples include the Industry Canada’s New Media at Work, National Heart, Lung, and Blood Institute’s Health Information Topics, and CDC’s Division of Community Health. Design, develop, and deliver training and technical assistance in communication and social marketing to help leaders and staff develop the capacity to “communicate like a pro” and “act like a marketer.” Programs supported include Community Transformation Grant communities, CDC’s Racial and Ethnic Approaches to Community Health (REACH), Lifeline, Project LAUNCH, SS/HS, and SFU’s Errors and Expectations: A Writing Workshop for Professionals Whose First Language is Not English. Establish, lead, and mentor high-performance project teams to ensure delivery of exceptional results that exceed client and stakeholder expectations. Examples include GCAL, Lifeline, MPV, National Public Health Strategy for Youth Violence Prevention, and the National Prevention Strategy. Plan, manage, and deliver projects on time and on budget to achieve your programmatic and organizational goals and objectives using proven project and work management techniques and practices. Help you and your team recruit and retain the right team leaders and member to achieve your communication and marketing objectives.